Summary: Do you like beaded starfish earrings? 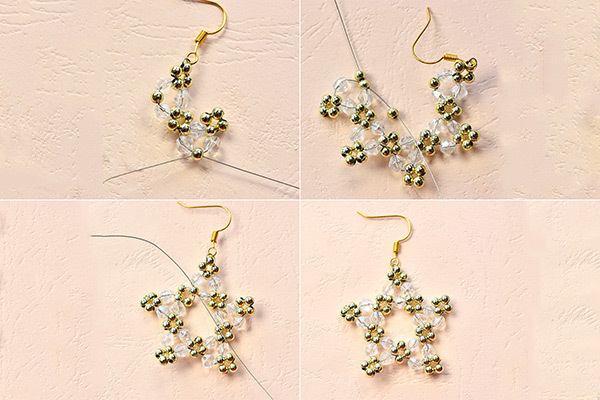 Today we’ll show you how to make a pair of beaded star earrings, This Beebeecraft article is about a pair of handmade seed bead and crystal bead star earrings. 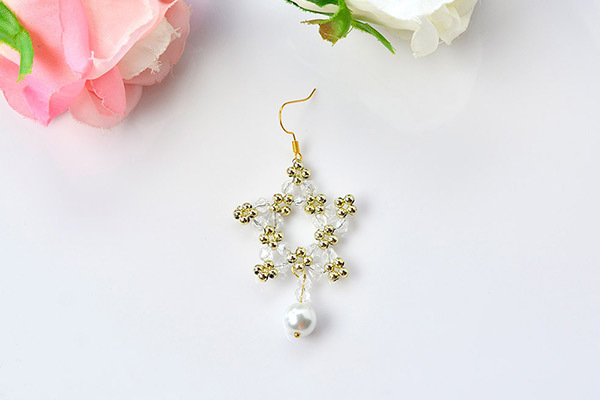 This pair of seed bead star dangle earrings are suitable for people who searches for the gift for friends. They have well-designed structures and good-matching colors. 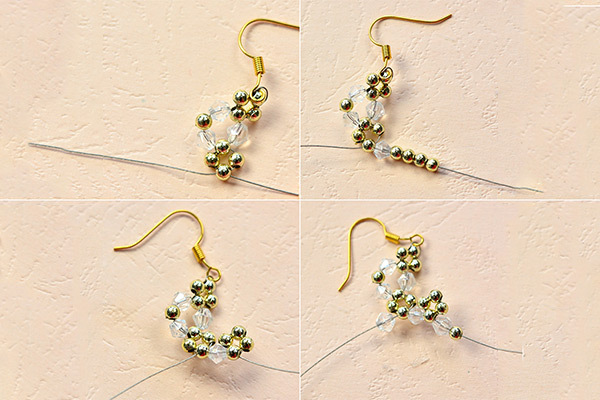 Well, let's see how to make the handmade seed bead and clear crystal bead star earrings. 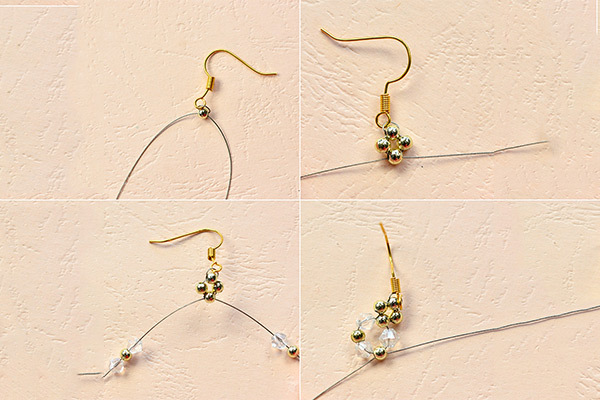 3rd, slide a 4mm clear bicone glass beads, a 2mm seed bead, and another bicone glass bead from the left end, a 4mm bicone glass bead and 2mm seed bead from the right end, then form a bead pattern like the picture. 2nd, form the 4 seed beads together, continue to add one bicone faceted bead on the right wire end and a bicone faceted bead and seed bead on the right. 3rd, finish the bead patterns and cut off the extra wire, refer to the above steps to make the other pair of the beaded star earrings. What do you think of the beaded star earrings? 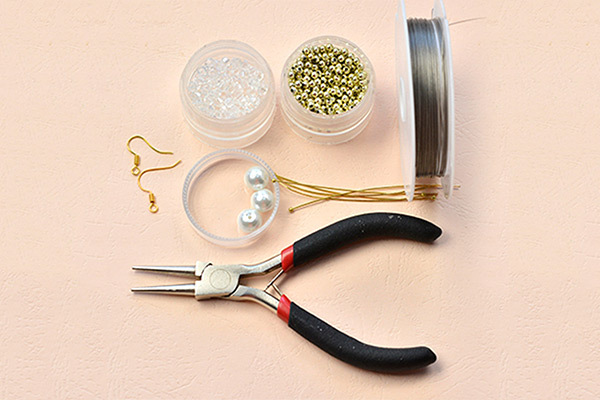 During the DIY process, you can also change the color of the beads according to your own preference. It's a little complicated to make the stitch beaded starfish earrings. So, be patient during the bead stitching process. This DIY project is also a good choice to learn bead stitching techniques. 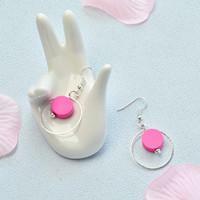 If u like the design, u can follow the tutorials and all the jewelry craft supplies can be found on Beebeecraft.